Everyday we leave our homes to go to work, to go do some shopping, to meet up with friends for a coffee or a meal. For some, going to town is a big event which is enjoyed for its pleasure. For others, it may be an everyday occurrence that they have grown accustomed to. Whatever the reason for the trip to town, people go about their business: walking, driving, and even sitting down to watch the passers-by. 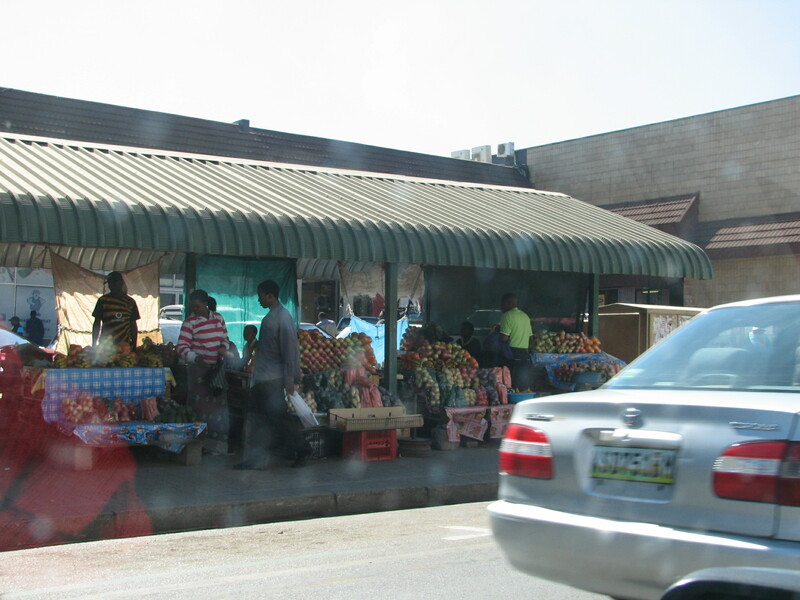 On my trip to Manzini in Swaziland, I enjoyed watching people go about their everyday life: selling food at the fruit and vegetable stalls, walking to work, doing their shopping, or even enjoying their day in town. Do you enjoy watching people go about their everyday life? 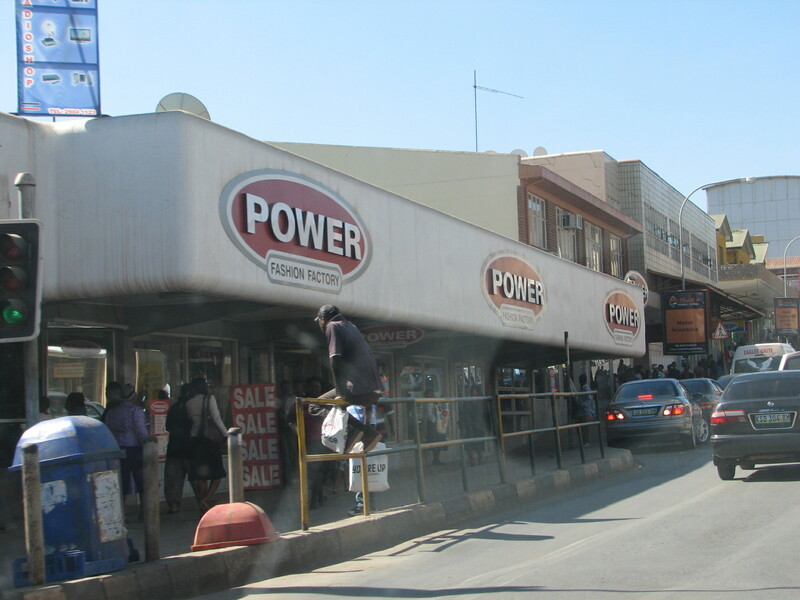 One of the major towns in Swaziland. Not as busy as the cities in Europe or North America – but quite a busy town for this small country. Yes, Colline, I love to do that, especially on a sunny day, when the atmosphere is light and happy. I like your photos. Thank you. Watching the people on the street, you can see that they all have a sense of purpose. Especially on a Saturday morning! It sounds very interesting place for me. It is a relaxing place to visit – very different from the life and experiences in a more developed country. I enjoyed viewing these very much Colline. I love walking by them. And the fruit and vegetables in Swaziland do have a better taste than what I get here in Toronto. You are not. Even the business in the town is different: people still have time to be friendly, to spend time with passersby, and to stroll through the streets. The people themselves seem more content, even though they do not have as much material goods as in the developed countries. Thank you. It was quite busy there that morning – even though it was a weekday. Quite a shock to see your depiction being so close to what I see as everyday life! Those are some of the T-shirts you have been here to get. 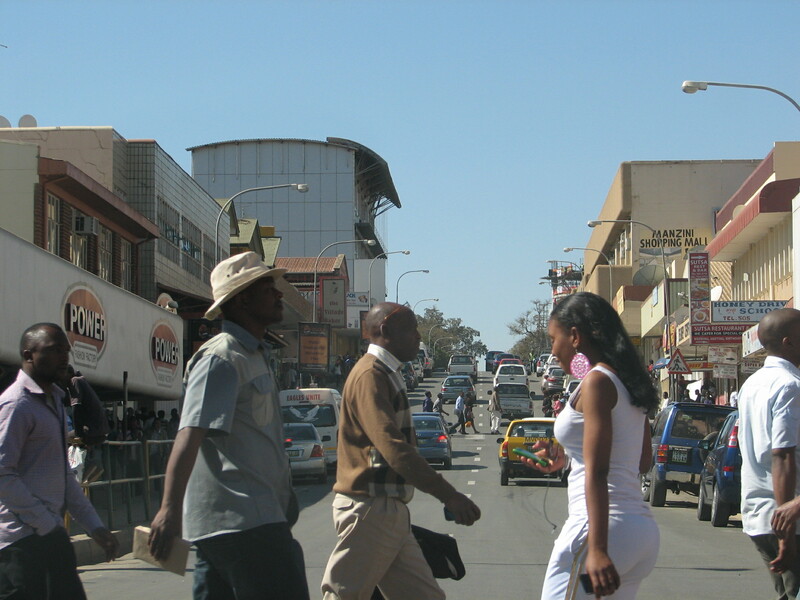 I have found Swaziland to be similar to many small South African towns. Especially now that many South African franchises are appearing: the chain stores like Woolworths, and the eateries such as Debonairs. Beautiful town… It’s quite clean and not too crowded. Nice. Fit for the everyday life theme. Looks like a busy place with so much stuff to do. Everyday life is full of surprises. Great post!